Holidays are over and it’s back to school! 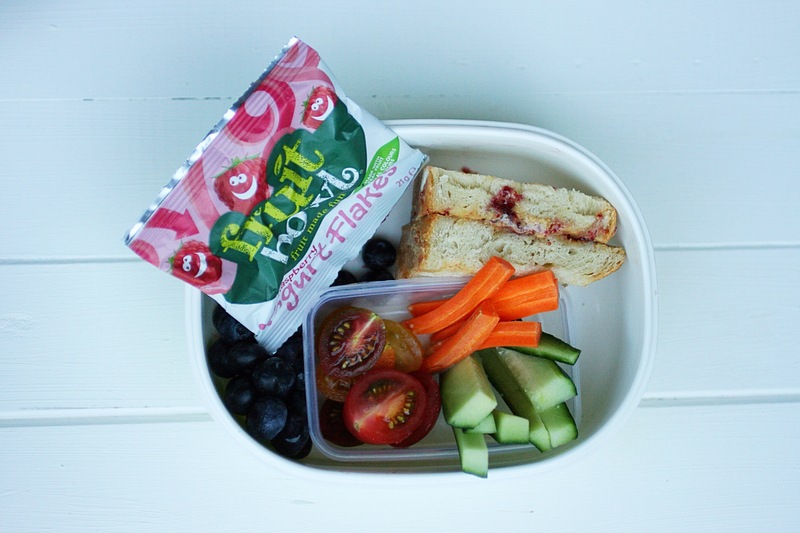 Not only do you need to make sure you’re sending your kids off to school with the right uniform, stationery, books and homework done; you need to make sure you’re sending them off with lunch. A nutritious lunch to keep them focused, energized and help their growing bodies grow. 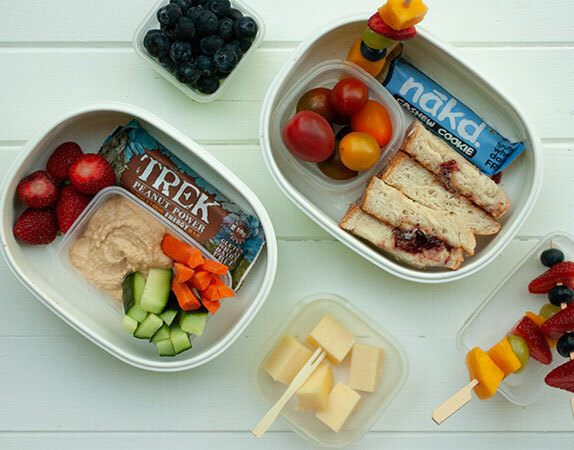 To make packing your kids a healthy lunch they’ll love easy, we’re breaking down how to make a healthy lunchbox. 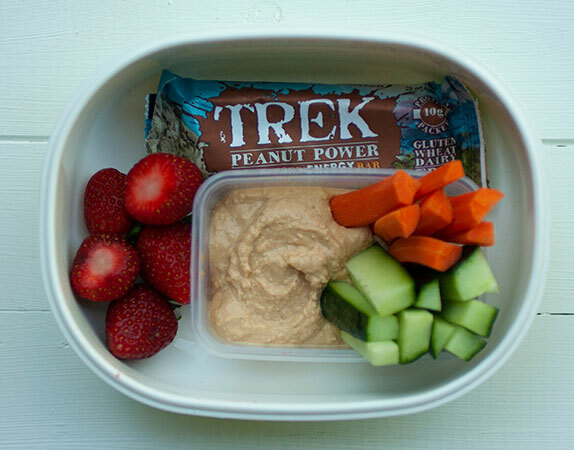 Make sure that inside the lunchbox you’re including all the macronutrients – Protein, Carbohydrates and Healthy Fats. 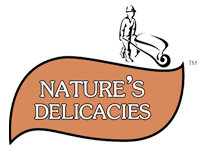 Nuts – plain nuts, snack bars like Nakd Bars with nuts in them or nut butter in a sandwich or as a dip. Cheese – You can opt for mini cheeses as a snack or cheese as your sandwich filling. Yogurt – mini yogurts are a great way to give your child protein, calcium and probiotics. Protein Rich Dips and Spreads – spreads like hummus or bean dips are great for dipping veggies in or as a spread on crackers. Legumes – you can add crispy roasted chickpeas as a snack, or add beans and lentils to salads or wraps. Tuna – a can of tuna can be used for fillings or salads. Eggs – boiled eggs can make a great protein packed snack. Meats – opt for non-processed lean meat like chicken which is easy to prep and tastes good cold in salads and wraps. Breads/ wraps – choose wholegrain options so your kids get some fibre as well. Make it more interesting by switching between breads, rolls, wraps and bagels. Fruit and Veggies – fruits and veggies have carbohydrates (and fibre) in them, so make sure to include them too. Snack bars – snack bars will have carbohydrates in them. Just look at the ingredients to make sure you’re giving your kiddies the best. 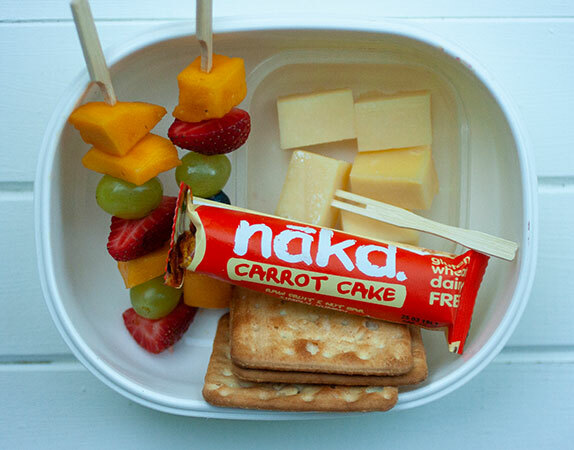 Bars like our Nakd bars are made up of nuts and fruit – which means they’re packed with wholefood sources of carbs. Micronutrients and Vitamins will come from packing them fresh fruits and veggies, so always make to include them! The main lunch – this is the “big meal” of the day. Things like a sandwich, wrap, salad or veggies with hummus. This is the most substantial item. Snacks – depending on how long the school day is, whether or not they have extra murals or how much your kid eats, you’ll want to have a few snacks for them to choose from. 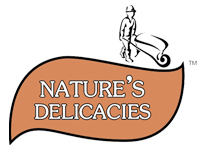 Snacks include fresh fruit and veggies, mini yogurts and cheeses, nuts, snack bars like Nakd and Trek bars, and for a special treat our Fruit Bowl Peelers and Yogurt flakes are a great sweet treat to add in. Drinks – it’s not just what they eat that’s important but what they drink. Always include a bottle of water to keep them hydrated. Stay away from fizzy drinks and if need be, include a pure fruit juice as an extra; but water should be their main source of hydration. Make lunch extra special by picking out nice lunchboxes that are functional and that your kids love. Bento boxes which have separate compartments are a great choice. You can also get a large lunchbox and fill it with mini Tupperwares to create your own compartments. Other ways to make it more fun is to cut fruit up and thread it on mini skewers for fruit sticks or cut out sandwiches in shapes. 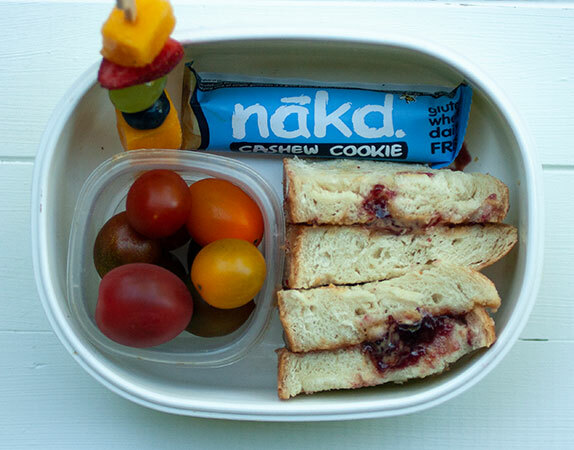 Lastly, making your kids part of the lunch prep can make them more excited to be able to eat what they’ve helped made.